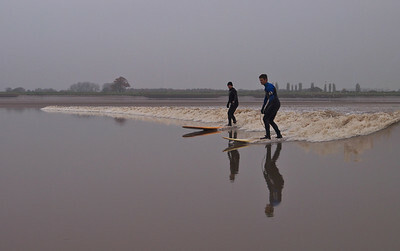 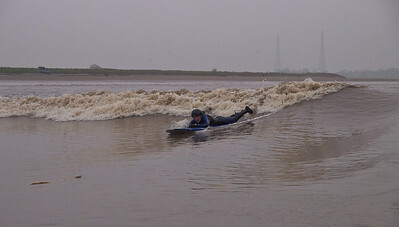 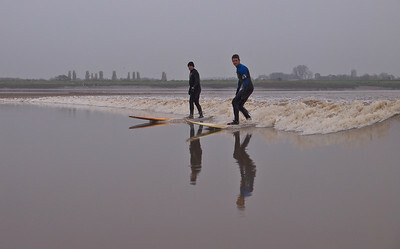 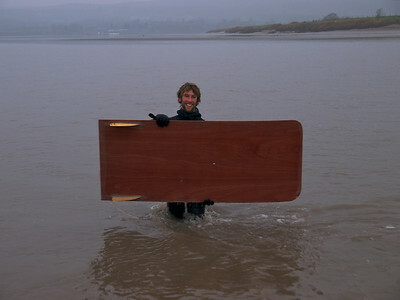 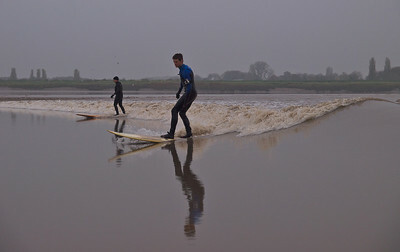 Severn Bore with surfers ahead of the loaded inflatable. 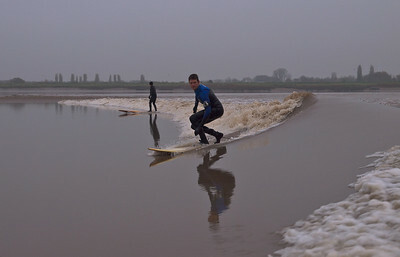 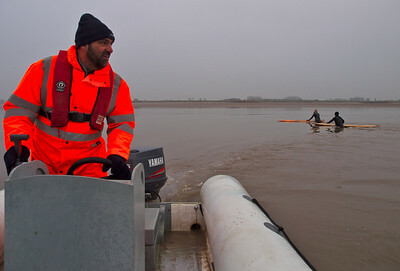 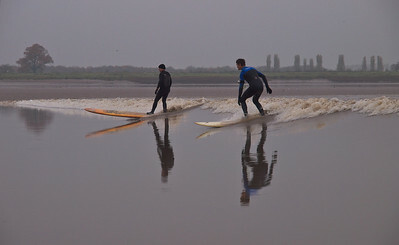 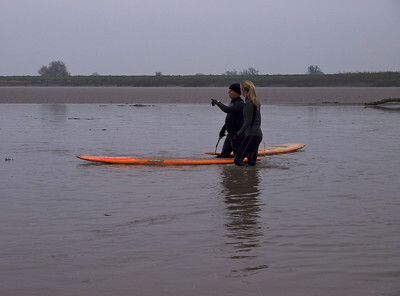 Surfers arrive on the river Severn early for the bore, dwarfed by the pylons. 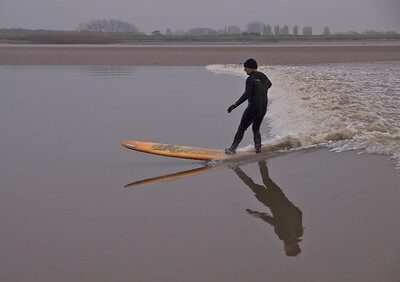 Nice reflections today. 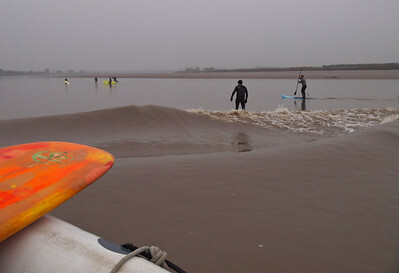 Early morning arrival on the river Severn awaiting the bore arrival. 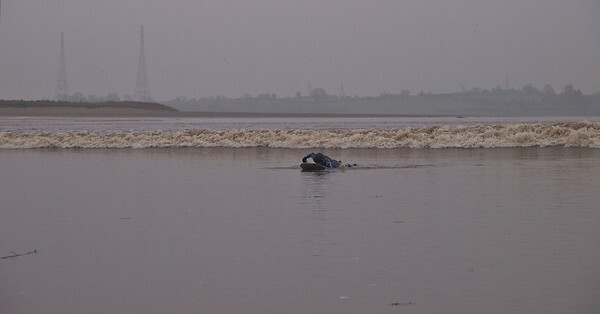 The only place his school kids can't reach him....sssshhhh! 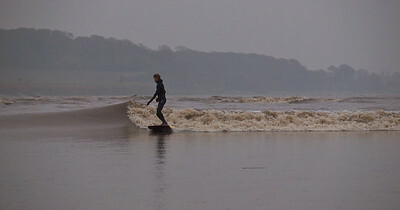 Surfers paddling out for the bore arrival. 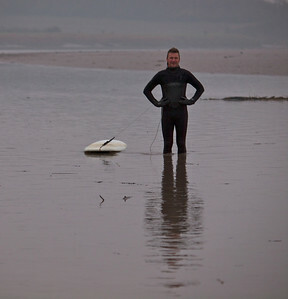 Bendy - what is that you are on? 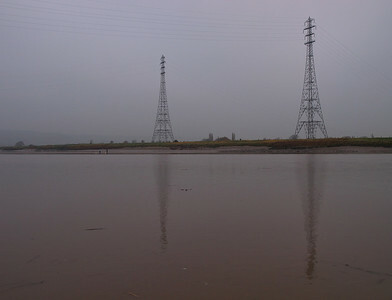 Glass water on the river ahead the bore. 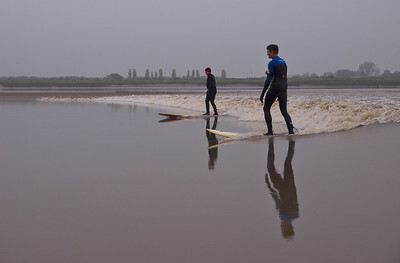 Steve & Nathan and some great reflections. 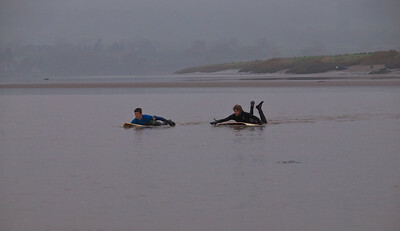 Steve & Nathan and some great reflections. 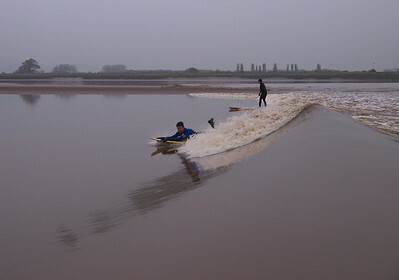 A lovely bore wave. 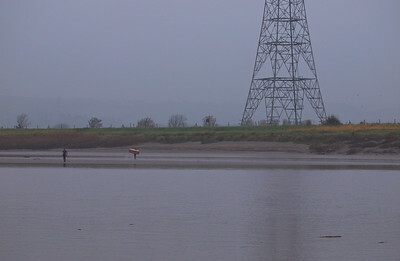 Strange looking beast entering the river under the watchful eye of the pylon. 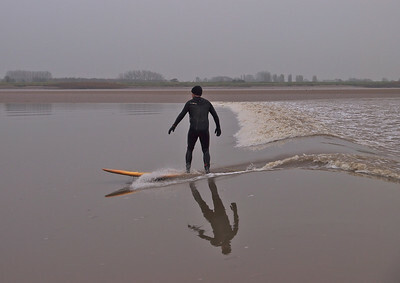 Bendy, you cannot be serious! 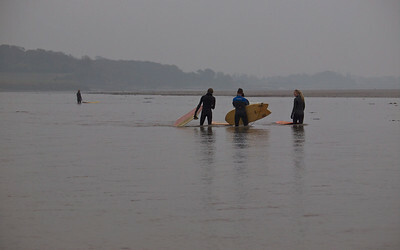 Surfers await the bore arrival. 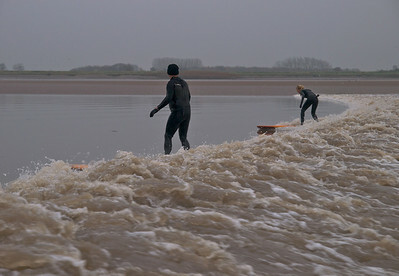 Surfers ride the bore as I shoot from just behind where I can guarantee is very lumpy. 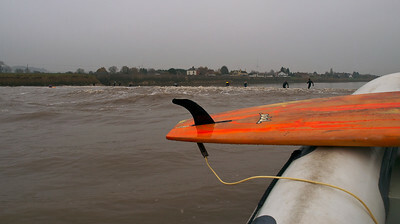 Calm ahead and turbulence behind the leading bore wave. 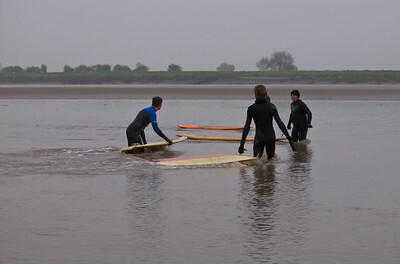 Surfers wait at numerous locations along the river, ahead of the bore. 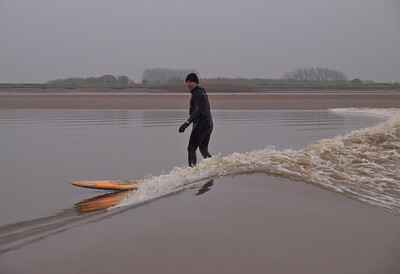 Beautiful reflections as Steve rides the Severn Bore wave.